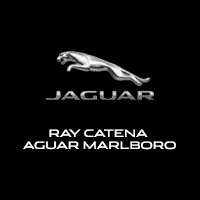 Here at Ray Catena Jaguar Marlboro, our passion is to help our customers around Freehold, Englishtown, and Marlboro get behind the wheel of the car that’s best for their lifestyle. That’s why we’ve created this library of vehicle comparisons; they’ll help you to determine the similarities and differences between two models before you make the big decision. Check these articles out, and contact us with any questions. We absolutely love high-performance, stylish automobiles like the Jaguar F-PACE, the Jaguar XE, the Jaguar XF, the Jaguar F-TYPE, and others. However, we also recognize that Jaguar isn’t the only brand in town. These comparisons will cover the main specs, features, systems, and amenities in luxury cars like these, pitting them against some of their leading competitors. Here are a few examples of what you might find. Engine Power: Which model offers more horsepower and torque? Fuel Efficiency: And how about saving money over at the pump? Performance: Do they both offer AWD and sporty handling? The good news is that our comparisons are ideal for drivers around Marlboro, Englishtown, and Freehold. View our full new inventory here! Check out the guides on this page, and then get in touch with us ASAP! But the best news is that these car comparisons are intended for anybody, regardless of where you are in your automotive journey. That means that they’re a great resource for people just starting to consider a new car, people actively entrenched in the research process, and even people who are relatively decided. Taking advantage of their full potential is a pretty simple process: Just scroll through this page, find the model or models that interest you, click on the link, and then read the article in its entirety. Of course, you could always take a short cut and contact us at Ray Catena Jaguar Marlboro—we can help you out. We’re committed to answering all your questions, and even setting you up with a test drive right away.